A few days ago my husband tipped me off to a segment from NPR’s “Wait Wait…Don’t Tell Me” during which the author Nora Roberts was interviewed by host Peter Sagal. SAGAL: I have to ask you one thing because you are so prolific. Have you ever, for one minute in your life, had writer’s block? ROBERTS: I don’t let myself believe in it. I feel very strongly writing is habit as much as an art or a craft. And if you write crap, you’re still writing. ROBERTS: And you can fix that. But if you walk away then you’ve broken the habit. SAGAL: Really? But you’ve never, like, finished a novel and said, I have written about all the relationships I can think of and all the murders I can think of, I got nothing? And that’s what caught me – but let me explain. 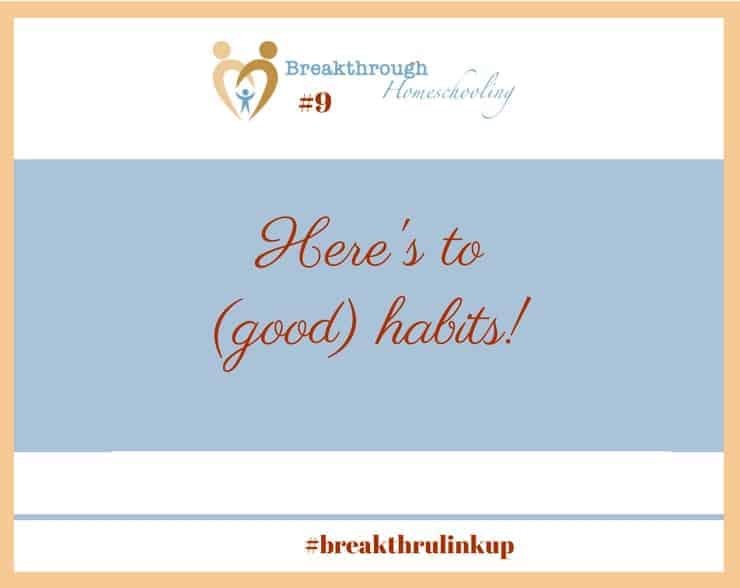 If we ever want to change the world – heck, if we ever want to do good or even great things – our habits will lay the foundation upon which we can do just that. Young mothers, you want to be the best you can be for your toddler: what are your habits? You moms who want to have a good relationship with your tweens and teens: what are your habits? 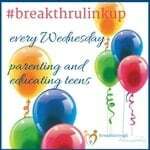 Older mothers who are perhaps nearing the end of your (active) parenting and homeschooler years: what are your habits? No matter what our talents are or where our interests lie, they are only the keys on the piano. Much like a musician takes those same keys and arranges them in unique patterns and forms, what we do with those talents and interests, how we arrange them, what form we give them, what energy we invest in them and direction we take them – makes all the difference. 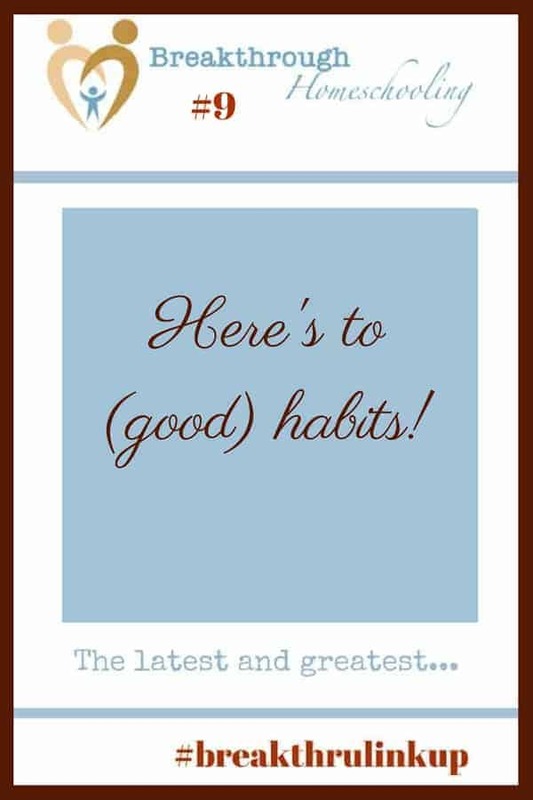 That is where the importance of good habits lies, and that is how significant they can be in our lives! There is so much wisdom in these words. And as I’m nearing the end of my homeschooling season, I want to stick with strong habits. Loved that illustration of the 88 keys! Thanks as always for stopping by. And looking forward to both encouraging and learning from you as we both walk through a similar life season! Your words today, Pat, inspire me in a particularly difficult situation with my oldest son, because though I must go through some difficult steps with him, this reminds me that my steps will help give him the insight he needs for his own life and relationships moving forward. It makes the hard work and personal pain worth it! Thank you for your challenge, this great linkup and your heart, my friend! Oh Beth, I will be praying for your family as you walk through this. I’m really glad I didn’t consider the challenging times we all have with our kids as they grow older…before I had kids. ‘Cause the human in me would have totally “opted out” of having them. But I know I would have also lost out on valuable personal growth, and all the wonderful moments that also come with being a parent. Love this! Habits must be formed and worked at but can really pay off in the end. I love this and what a great quote from Nora Roberts! Many years ago, a writing instructor expressed somewhat the same sentiment and I never forgot it. This certainly carries over into so many areas of life and so many other habits that we can and should develop: Bible reading, prayer, spending time with our kids at whatever age. Habits are such an important thing! Thanks for sharing. Isn’t it, tho? I tell ya’ that’s just been sticking in my head so much!! And thank you, too!